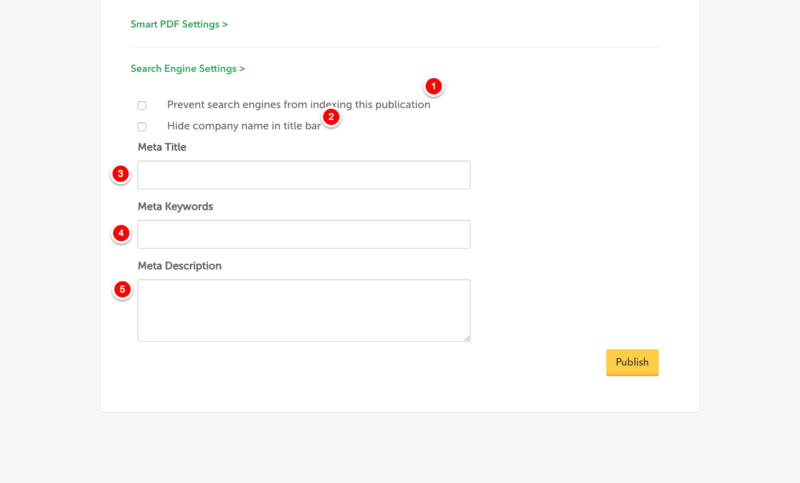 Please note that Search Engine Settings are only applied to Smart PDFs, not Traditional PDFs. 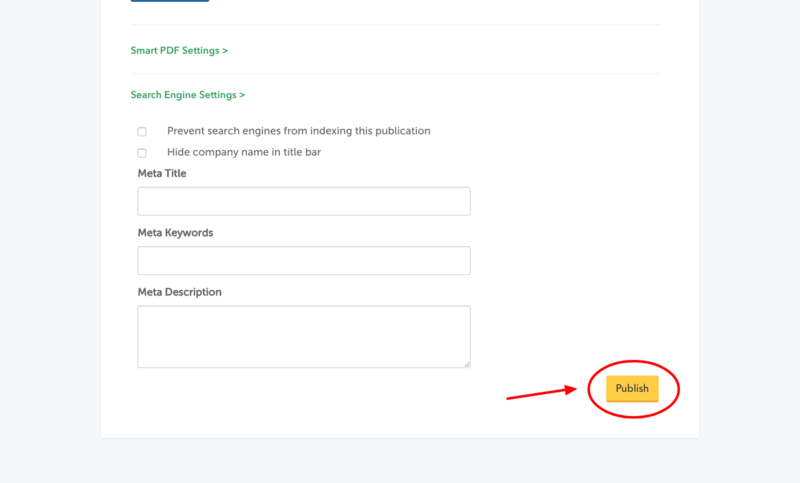 If you do not want search engines to index your publication you should check this option. 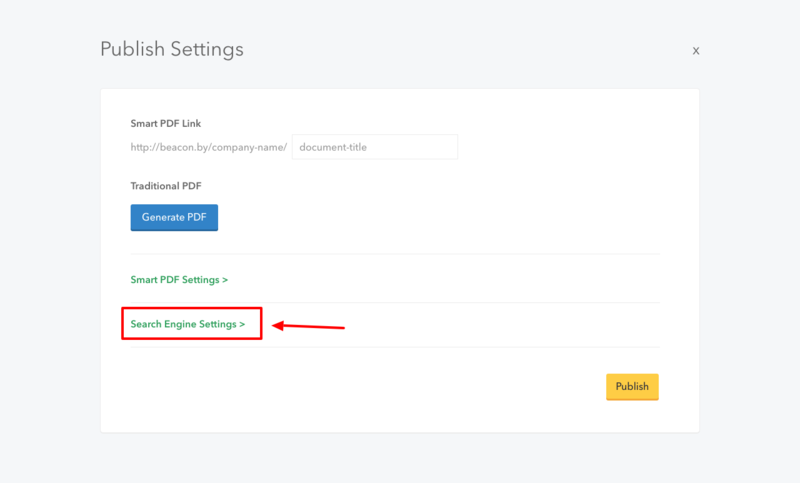 Beacon will by default display your company name in the title bar of the browser window when someone accesses your Smart PDF. If you do not want your company name to be shown you should click this option. "Title tags are displayed on search engine results pages (SERPs) as the clickable headline for a given result, and are important for usability, SEO, and social sharing. The title tag of a web page is meant to be an accurate and concise description of a page's content." "Keywords are ideas and topics that define what your content is about. In terms of SEO, they're the words and phrases that searchers enter into search engines, also called "search queries." 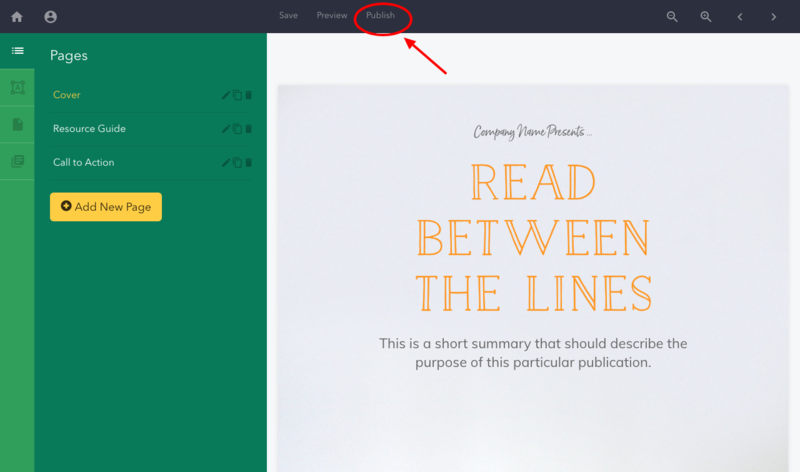 If you boil everything on your page — all the images, video, copy, etc. — down to a simple words and phrases, those are your primary keywords." "Meta descriptions are HTML attributes that provide concise summaries of webpages. They are between one sentence to a short paragraph and appear underneath the blue clickable links in a search engine results page (SERP)."